This party is beyond WONDERFUL!!!! 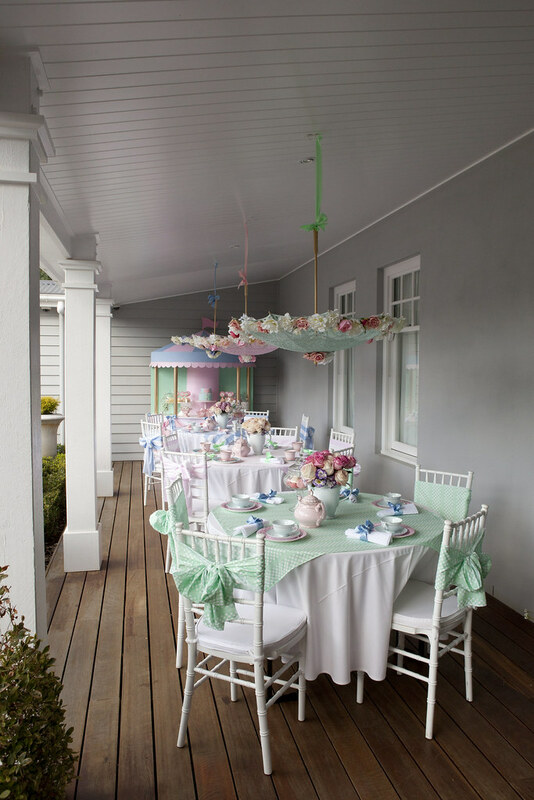 Amy Atlas featured this Mary Poppins inspired party from Sharnel of My Life My Loves and she created such a beautiful celebration! 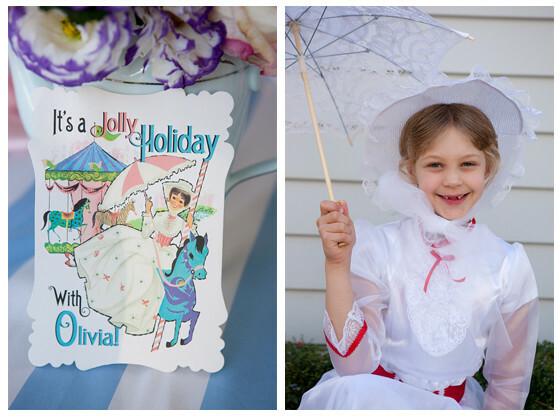 Loralee Lewis created adorable invitations, banners, drink bottle labels and more for this party! 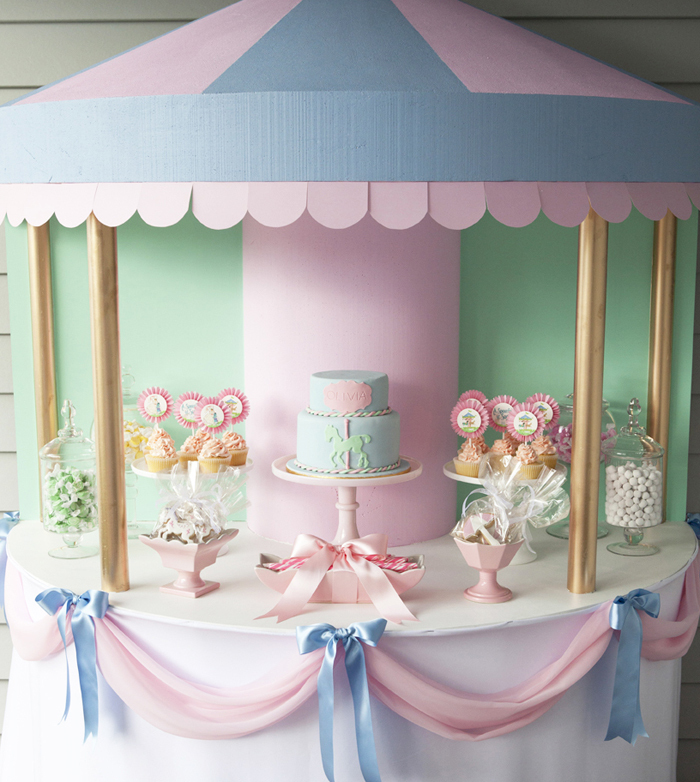 The carousel dessert table is to die for with a beautiful blue and pink cake. 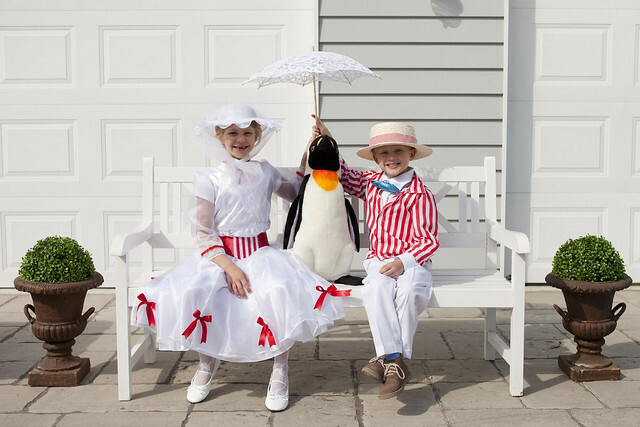 Sharnel had fun filled activities including kite making, penguin stuffing and a teacup ride. There are SO many more superb details to this party so please check out all of the vendors and details from Sharnel here!